Located in Nashik, Maharashtra, for more than 25 years experience in the field of fabrication of storage systems and machines, we have been able to establish a niche in the domain. We have a robust infrastructure and a skilled workforce who are regarded as the backbone of our organization. 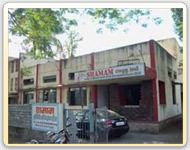 Our company Shamam Engineering Industries is Proprietorship Firm was established in the year 1982 and is headed by Mr. Shashank Dani who has a vast industrial experience of 15 years especially in the field of BE. We undergo a series of tests till the final dispatch of the consignments and ensure that all the delivered goods are in the best efficient way. Our range of Bending Machines includes tube bending machine, pipe bending machine, and are widely supplied to the parts of Maharashtra, Rajasthan, Bhopal and Ghaziabad. We are awarded with 6FASSI Award by the hands of Mr. N. D. TIWARI, Minister for Industries - 1987. District Level Award of Maharashtra Govt. Awards at Nashik Industries Exhibition for rendering our valuable services in the field of fabrication and supplying the exquisite range of machines in the country and the annual turnover goes beyond 4 crores. Shamam Engineering has secured various awards for quality & entrepreneurship. To name few - 6FASSI Award by the hands of Mr. N. D. TIWARI, Minister for Industries - 1987. District Level Award of Maharashtra Govt. Sticking to our adherence to provide effective range conforming to international quality standards, we have implemented several quality check methodologies. Our company is comprised of quality analysts who keep a close eye on the entire manufacturing process, right from procurement of raw material to the final dispatch of the consignments. We always ensure that the range of pallet storage systems, compactor storage systems, industrial storage systems, bulk storage systems, vertical storage systems, mezzanine floor, tube bending machines and pipe bending machines are properly checked before the delivery. With an industrial experience of more than 25 years our range of machineries and other equipment have been widely acknowledged for their higher performance and longer functional life. Made from the premium grade of raw materials these equipments are of international standards. Our gamut comprises of pallet storage systems, compactor storage systems, industrial storage systems, bulk storage systems, vertical storage systems, mezzanine floor, tube bending machines, pipe bending machines and many others. 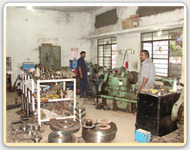 Our assortment is greatly catered to automotive, engineering and other related sectors. We also offer customization of the designs as per the requirement of the clients. Delivery of the consignments is done within stipulated time period to the desire destination. Backed by a sound infrastructure we are blessed with a team of professionals who ensures our production process in a flawless manner. We have a team of designers who help in innovating the latest trend with the help of technological methods. Our R&D wing supervises the entire system in a very efficient way. The management people, test analysts and marketing experts are always keen to learn more in order to provide efficient and prompt services to clients. We have a diligent team of customer support executives who deals with all the clients and helps in further improvement of the range of machineries. Vital for production and client satisfaction we have a sophisticated infrastructural facility which boost of manufacturing units, quality testing unit, in-house design unit and storage unit. 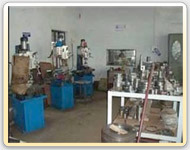 Our manufacturing unit is spread across 5000 square feet having an installed capacity of 25 units. 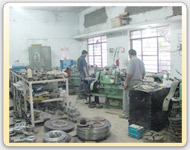 Our unit is equipped with requisite machines and facilities. These machines are regularly inspected to ensure smooth and efficient working in enabling us to offer our exquisite range of various storage systems and machineries within the stipulated time period. We have CAD/CAM software which enhances the designing and developing of our comprehensive range.